RBHS hosted CPS’s third annual Como Cow lip sync competition April 3, sponsored by Children’s Grove. The videos below are recordings of each group in order of occurrence. The second performance by the “Croissants,” a group of RBHS students, utilizes only French music. The “Student Government” of HHS took the stage for the third performance of the night. Fourth in line is “The Babe Bunch,” a group of girls from BHS. 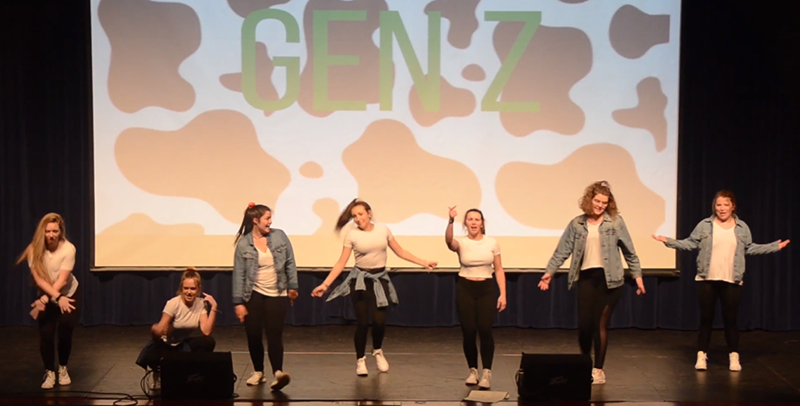 Girls from RBHS make up the group known as “Gen Z,” who are the fifth and final group of students to perform that night. “Déjà Moo,” the second group of just teachers and the seventh one of the night altogether, closes Como Cow with one final performance. Do you have any favorite show in particular? Let us know in the comments below!